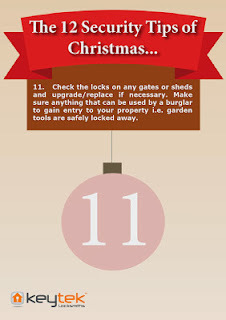 As part of Hertfordshire Constabulary’s ‘The Top Five Operation Guardian Tips’ they recommend securing your garden by shutting and locking any gates and making sure you lock away any garden tools as these can be used by burglars to break in. In 2012 the Guardian even reported that thefts in garden furniture and accessories had soared as the value of what we buy for the garden has increased, a survey by Confused.com showed that the average value of a British garden’s contents was £825, this included garden tools, lawnmowers, patio furniture and barbecues. All of these items are easy pickings for an opportunistic burglar, so lock them away!